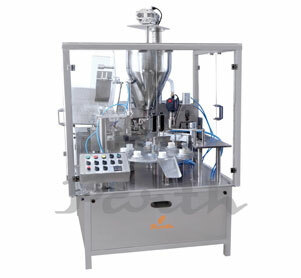 Tube filling machine is designed with filling and sealing process that is used to fill ointment, cream, lotion, toothpaste or any solid material in plastic tube and is been sealed. Our tube filling machine is reliable, high accuracy filling system that provides clean and accurate filling at optimum speed giving a high-quality product. This tube filler is been manufactured with the latest technology and is been inspected against various parameters so as to guarantee premium quality filling. The tube filling equipment provided by us gives accurate processing method that gives excellent output. We are proud to be the best tube filling machine manufacturer with our qualified staff manufacturing the highest possible level of machinery used in industries.